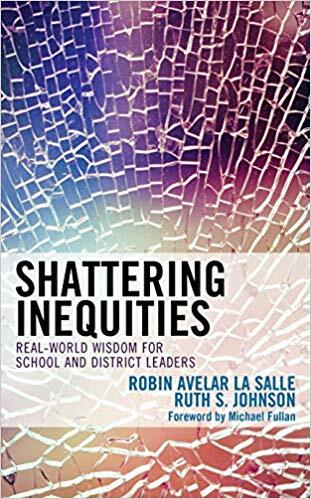 This book describes the systems in schools and districts that perpetuate historical and persistent underachievement for the same demographic groups of students who have struggled for decades. It provides educators with a set of essential lessons aimed at breaking that unacceptable cycle. For leaders who believe that all students deserve the premium education that only some currently experience, this book will be a comfort seeing how your leadership can bring about equitable outcomes for our most vulnerable students. Chapters include examples of actual equity leaders. Complex leadership lessons are shared as easily retrievable “Equity Hooks.” Equity Hooks function the same way as musical hooks in songs that remind us of entire songs with just a few words. Equity hooks included in each chapter are memory cues of complete, complex, and nuanced leadership takeaways. In the throes of educational transformation, the rich lessons presented through actual on-the-ground examples provide leaders with a practical way to quickly and effectively infuse substantive thoughtfulness into common equity challenges. This book will inform equity-grounded decisions and inspire equity-driven action to ensure that demographics do notdetermine destiny.